Mixing salt with pepper and then applying it on the aching tooth can be of a great help. Both these ingredients have antibacterial, anti-inflammatory and analgesic properties. You need to mix equal amounts of pepper and common salt with a few drops of water to form a paste. Then apply this paste directly on the tooth that is paining and let it sit for a few minutes. You need to do the same for quite few days. Garlic can be useful to treat the toothache. Garlic is a perfect antibiotic and rich in other medicinal properties that is effective to reduce the pain a little. You can mix a crushed garlic clove or garlic powder with some table salt or black salt. Then apply it directly on the tooth that is paining and get relief of the pain. 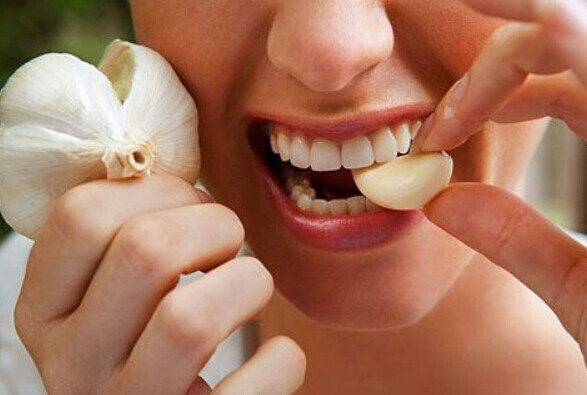 Instead of doing this, you can also chew one or two cloves of garlic to get a relief. Do this for few days. 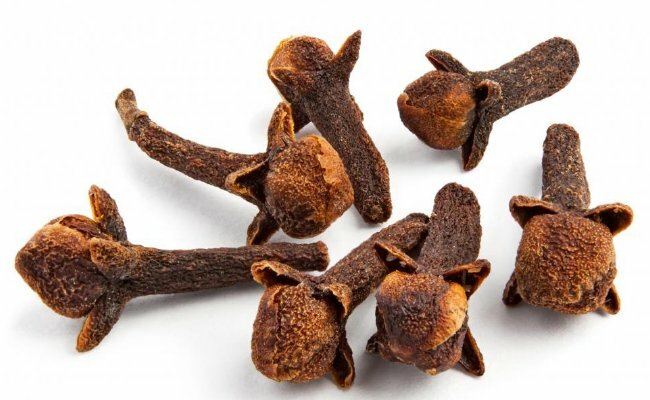 Anti-inflammatory, antibacterial, antioxidant and anesthetic properties that clove has makes it a perfect remedy to get rid of the pain in your tooth. Not only pain but it also fights infection. You need to grind two whole cloves and mix in a little olive oil or any vegetable oil. Then apply on the tooth that is in pain. You can also put the cotton ball in clove oil and then rub it directly on the paining tooth. Otherwise, you can opt for mixing a few drops of clove oil in half a glass of water and then use it as a mouth rinse. The antiseptic and antimicrobial properties that onion possess helps it to control a toothache. It kills the germs that cause the infection. You can chew the raw onion for a few minutes to relieve the pain. If chewing is not possible then you can place a piece of raw onion directly on the aching tooth to get the relief. Not many know but Asafetida can be used to treat the toothache at home quite easily. It can also cure the bleeding gums. Add half a teaspoon of powdered asafetida to two teaspoons of lemon juice and then warm it but only a little. Then with the help of a cotton pad apply the solution on the affected area and allow it to settle. You will immediately get relief of the ache. You can also fry it in clarified butter and insert in the tooth cavity and get the instant relief. Warm Salt Water is a good option to get rid of the pain. You need to mix half a spoon of common salt in a glass of hot water and then use it to rinse your mouth properly. Not only will it help you to reduce swelling and inflammation but it also helps to fight the bacteria that is the very cause of infection. The anti-inflammatory, analgesic and antimicrobial properties that fresh guava leaves have does miracles to the aching tooth. 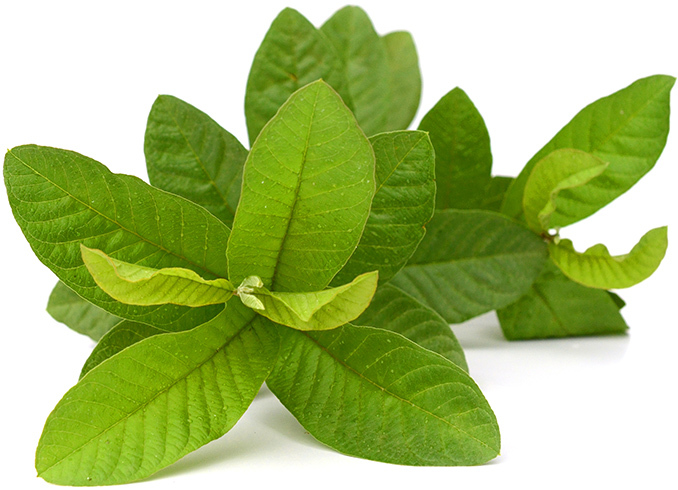 You simply need to chew one or two tender guava leaves till the juice starts impacting the affected tooth.in the same way you can also use the spinach leaves. Alternatively, you can put four to five guava leaves in the water and then boil it. After cooling the solution to a warm temperature you need to add some salt and use it as a mouthwash. Vanilla extract plays an effective role to numb the pain in addition to having a calming effect. You need to dip a cotton swab in vanilla extract and then dab it on the area that is in pain. Keeping doing this till you do not get relief. The natural antibacterial properties of the wheatgrass juice helps to fight the tooth decay and relieve you of the toothache. You need to extract the juice of wheatgrass and then use it as a mouthwash. In this way, it absorb the toxins from the gums and prevent the growth of bacteria by keeping the infection under control. In other way you can simply chew the wheatgrass. Ice haves the numbing effect on the nerve endings. You need to wrap a small ice cube in a thin cotton cloth and hold it on your cheek near the tooth that is in pain for a few minutes. You need to rub an ice cube between your index finger and thumb for a few minutes as an acupressure technique which can also lend some ease. All of the above mentioned are the most effective home remedies to get rid of the tooth ache. However, it is always good to consult a dentist if the need arise. These methods are helpful to reduce the pain and give immediate relief but in the long run it is only the dentist that can provide you with the permanent solutions. So do not take your pain lightly and consult the dentist by taking an appointment from him. Yes, but for the immediate reaction that the pain requires these are the best remedies.